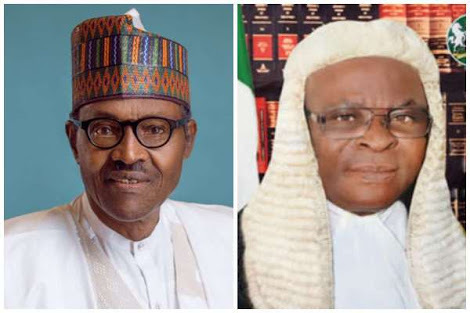 The imminent arraignment of Chief Justice of Nigeria (CJN) Walter Onnoghen before the Code of Conduct Tribunal (CCT) has pitted the All Progressives Congress (APC) against the Peoples Democratic Party (PDP). The ruling party yesterday took exception to an allegation by the PDP that APC and its candidate in the February 16 presidential election, President Muhammadu Buhari, are behind the CJN’s ordeal. PDP spokesman Kola Ologbodiyan accused the President and the APC of being desperate to remove Justice Onnoghen because of the forthcoming elections. Ologbodiyan, who spoke for the PDP Presidential Campaign Organisation (PPCO), alleged that the ruling party was on a mission to annex the judiciary. But the APC fired back through its Publicity Secretary Lanre Issa-Onilu, accusing the PDP of trying to hoodwink Nigerians into believing that the allegations against the CJN had political motives. Issa-Onilu said the interest shown so far by the PDP in the CJN matter since it was brought to the limelight on January 7 had given the party out of having some unholy alliances with the judiciary. He said the law should be allowed to run its course. The APC spokesman urged Nigerians to caution the opposition party over what it called virulent attacks on the party and institutions of government. Nigeria, Issa-Onilu said, is bigger than any political party or any political interest. Speaking at a news conference in Abuja, Issa-Onilu also faulted the decision of the CJN not to appear before the CCT to answer charges bordering on false assets declaration preferred against him. He alleged that such a decision could have been based on the suggestions of PDP governors from the Southsouth, who after their emergency meeting in Abuja on Sunday, urged the CJN to ignore the court summons. The APC, he said, will not be drawn into debating the legality or sponsored conspiracies of the CCT trial because it believes it was an opportunity for the Chief Justice to exonerate himself and prove his innocence in the matter, adding that the issue concerning the CJN should be allowed to follow the due process of law. He said the APC believed that democratic and constitutional institutions must be allowed to operate without interference and undue pressure from partisan and sundry interests as being done by the PDP and its cronies. He said: “While we would not want to be lured into discussing issues that are presently before the courts and for which any respectable political party hoping to hold positions of responsibility should restrain itself, we regret to suggest that the PDP’s attempt to hoodwink Nigerians into believing that there is a political motive behind the allegation brought against the CJN might itself be indicative of some unholy alliances. “The likely affinity existing between the PDP and a section of the judiciary is further accentuated by the nonappearance of Justice Onnoghen before the CCT on Monday (yesterday), in line with the suggestions made by the PDP governors from the Southsouth on Sunday. “This becomes more worrisome knowing that the PDP’s campaigns have been receiving a cold shoulder everywhere they have gone to and it has become apparent the party and its presidential candidate are facing imminent defeat in the February 2019 elections and may be searching for some unorthodox means of forcing itself on the Nigerian people. “The only logical conclusion in the circumstance is that realising the refusal of Nigerians to allow the deception of the PDP con them into returning the party to power, the opposition party has alongside some pliable human rights activists devised a plot to distract the APC and indeed the good people of Nigeria from addressing the very important issues on the APC’s manifesto in the electioneering process. “We have also noticed the very dangerous attempt to designate the CJN’s arraignment along ethnic and religious lines thereby trying to heat up the polity by evoking primordial sentiment which would do the country no good. This is an ungodly ploy when we consider that the CJN is an officer of the federation rather than that of any region. “We therefore urge all Nigerians of good conscience to caution the PDP as the country is bigger than any political party or the interest it represents, and nothing should stop the country’s steady march into sustainable democratic governance. “In our earlier statement on the CJN’s CCT trial, we had noted the PDP’s shocking and innate proclivity to defending cases of corruption anytime it arises. The call by the PDP’s Southsouth governors for the CJN’s boycott of the CCT trial further cements our position. Let it be reiterated that nobody, no matter how highly placed, should be above the laws of the land. 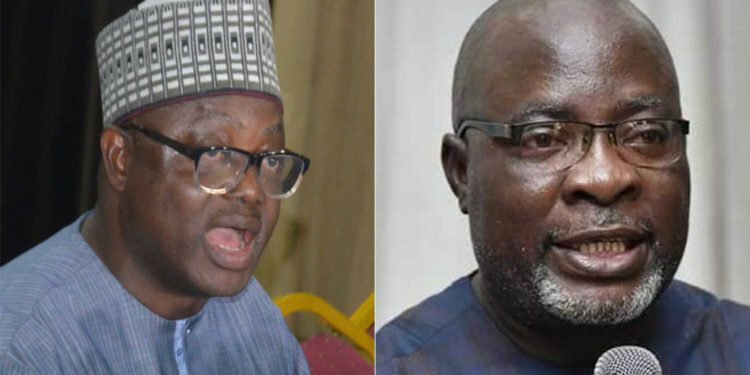 “We wish to put on record that the virulent attack that has come from the PDP in the wake of the trial of the CJN over alleged false asset declaration is particularly worrisome and suspicious when the PDP has, in fact, called for the removal of virtually all heads of government arms, particularly the Chairman of Independent National Electoral Commission (INEC) and Inspector-General of the Police over frivolous issues. “While we will not be drawn into debates on the legality and sponsored conspiracies of the CCT trial, we insist that our democratic and constitutional institutions must be allowed to operate without interference and undue pressure from partisan and sundry interests as being done by the PDP and its cronies. “The CCT trial is a legal matter; let the law run its course. The CJN must go through the instrumentalities of the courts, more importantly as an institution he represents. Indeed, this is the true test of our constitution, rule of law and will deepen democracy. Also in a statement by Ologbondiyan, the PDP berated the President and the APC for, according to him, attempting to blackmail Nigerians who have raised a voice against the arraignment of the CJN before the CCT. It accused the ruling party of attempting to subdue and annex the judiciary owing to agitation by Nigerians for the prosecution of the President’s cronies and some APC leaders for alleged corruption. The statement reads: “The Buhari Presidency and APC in turning around to fight Nigerians have further exposed their desperation to replace Justice Onnoghen with a pliable CJN, who will execute their plots to use the courts to detain opposition leaders as well as vocal members of the Civil Society during the elections. “It is now crystal clear to all Nigerians that apart from failing woefully in all its promises, the APC and its presidential candidate, President Buhari, are beginning to manifest their autocratic attributes..."